Note: this is an unsolicited review of the free android app, IPSC Shot Timer. I've been wanting a shot timer for a long time, but have been loathe to put out the money for one. I mean, really, I could buy a shot timer OR I could buy ammo. Guess which choice I made over and over again? I believe that shot timers are an important tool for training; they make it easy for you to set a goal and objectively reach that goal. You can see your progress, or lack thereof, with a shot timer. Until I found the free app, the only time I used a timer was at the range during matches. While watching one of Rob Pincus' Fit Shot videos, I saw that he had a timer of some sort on an iPad, and thought, "wow, I wonder if...". Yep, there was an app and it was free! 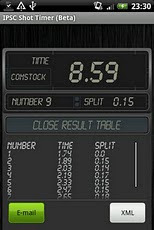 I did a little middle-of-the-night happy dance when I searched the Android market and found the IPSC Shot Timer app, by Ivan Stoliarov. 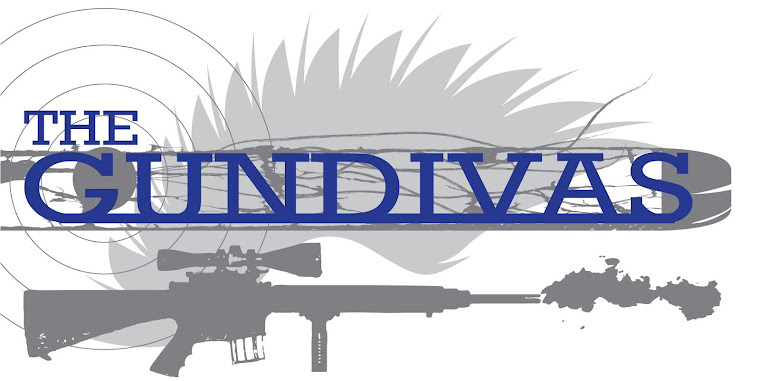 There were a couple of things that I loved right off the bat, even without trying it out at the range. First, you have the option to email the results to yourself, and second, you can save the results for retrieval later. I don't know that any of the "real" shot timers have those two options. I find myself storing more and more information electronically, so having the ability to save to my computer or email to myself makes me very happy (and decreases the paper clutter in my house). Okay, it looks like this without the numbers. A quick tap of the "Start" button and you're on your way. When finished with your string, press "Stop" and flick up the results table. With the results table open, you have a couple of options; email or save (XML in the picture above). The range that Tara and I shoot at doesn't have very good cell coverage, so I opted to save our strings and retrieve them later. You press the save (or XML) button and name the file. I've tried out emailing results to me where I have cell coverage, and it works like a charm. The pop-up window asks for the email address, you type it in and hit send. It's that easy. Saving the file is easy, too. The difficulty is in retrieving the file. I couldn't figure it out, so I sent an email to the developer, who emailed me within a week (he apologized for the delay, he'd been on vacation) telling me that the files were stored as .xml files. I'm not very tech-savvy, so when I asked him how to retrieve them, he very kindly told me I had to upload them from my phone to my computer. I got my answer within 24 hours. No complaints about customer service from me. 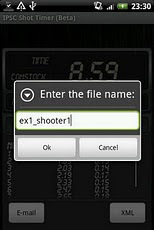 Shot Timer creates a file on your phone called, not surprisingly, Shot Timer and stores the files in there. To retrieve the files, you must upload them to your computer. I had a hard time opening the files using the Window-suggested program, but opened them without a problem in Wordpad or Notepad. Yes, it's an extra step to get the results, but without the ability to immediately email them to myself due to crappy cell coverage, I'm not too upset about it. I ran into a couple of issues with the app; some of them were my issues, some due to my phone, but none due to the app itself. Inability to email the results - phone/service issue, not the app's issue. I resolved it by saving the results and retrieving them later. Inability to see the screen in bright daylight - phone issue, not the app's. Even with the screen shaded, it was hard to read. I did read a review on the Android Market website about this issue, and the reviewer seemed to think the developer could have worked around it, but I'm not so sure. I have a hard time reading my screen, period, in bright daylight. Once I used the timer a couple of times, I knew where on the screen each button was, so I didn't necessarily have to see the screen to work the timer. Inaccurate split times - completely, 100% my fault. I didn't calibrate the timer. 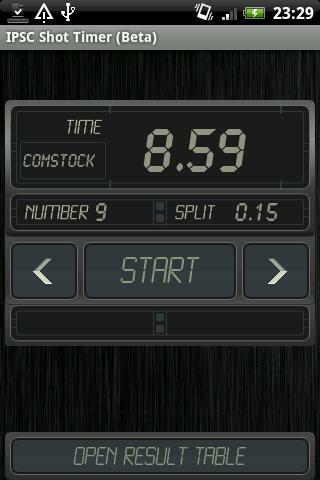 It's very easy to do and I neglected to do it, which resulted in the timer picking up additional noises (even speech). If I had taken the ten seconds (yes, that's all it takes) to properly calibrate the timer, I wouldn't have had these issues. I give this app 5/5 stars. The customer service has been good, the app functions better than I expected, and - extra bonus - it's free! I'm looking to upgrade my phone in the next month or so, at which time, I will purchase the ad-free version. I'm astounded that this is only a Beta version of the app and that it functions so well; that has not been the case with other Beta versions of apps I've used. That's so cool! Had no idea something like that was out there. Irishman would love having this on his droid. I will certainly pass it along! That's so cool - as soon as I get home I am gonna see if they have the same thing for my iPhone. This is very interesting to me. I just started getting into timing my shots, but only at a training session with other more talented shooters. Which means I haven't really gotten into, so much as they have said, we are timing your shots:) But, I have started to think maybe I should invest in a timer, but there are so many other things on my list...lol This might be a good option for me. Comstock scoring is used in IPSC. Comstock count means you get to fire as many rounds as you want to make up misses or for steel that won't go down. Virginia count restricts the number of rounds fired with no make up shots. 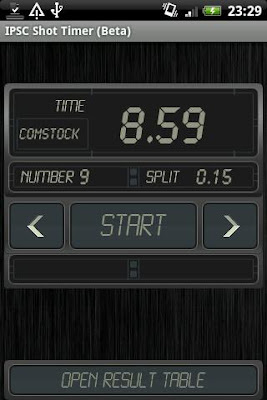 As far as the timer is concerned, Comstock just means you are recording straight time. The tone goes off and the time stops when the last round is fired. Your timer can also be used to set par times. With par times you set the amount of time you want to elapse, the tone goes off, shots are recorded and the timer tones at the end of the preset time.